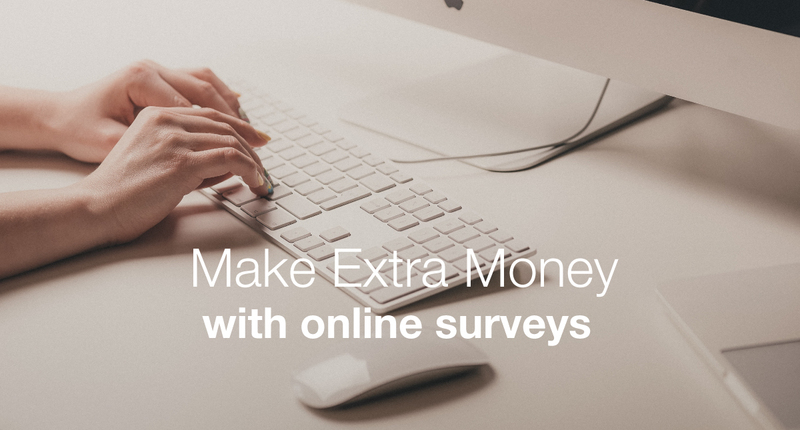 Top 6 Best Online Survey Sites That You Can Make Easy Cash With in 2019. From The Comfort Of Your Own Home or In Your Lunch Break You Could Be Earning An Extra $200 per month!!! Back in the day when I first started out in making money online, surveys were my first port of call. I remember reading an article about surveys and how they could help you create a small but regular monthly income on top of your day job wages. This excited me as back then I was a new dad and husband and needed those extra £$ to help support my young family. I signed up to about 12 online survey sites, the first one was purple profile. They used to send me emails saying “You have a survey waiting for you”. I used to check my hotmail account at work during lunch, with the hope there was some cash there for me to earn. I once made £150 in one month, which was awesome as it helped pay for my baby daughter’s swimming lessons, and no cash had to go out from my regular wages. It’s little sources of income like these free online surveys that made the difference for me. Even though it was a small amount of cash each month, it helped me to cover additional costs that cropped up each month without having to dip into savings or wages. By taking part in free online survey sites, you will be able to supplement your day job wages and enable you to create an additional income source. You can do this all from the comfort of your own home or even in your lunch break. Back when I had a full-time job, I was able to complete about 10 surveys each week in my breaks ( and a few in work time. ) Think how much time you waste watching TV when instead you could be earning easy cash from surveys. Like I say, you will never get rich by this alone, but it can give you a certain amount of financial freedom. 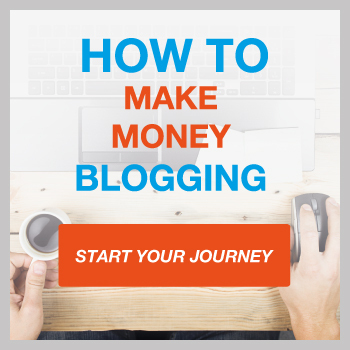 Not everyone has the know how or the desire to go out there and build their own blog and make money blogging. This makes doing surveys even more accessible to those who want to earn a little bit more to make a massive difference in their quality of life. Anyone can do them. What are you waiting for? Check out my top ten best survey sites! Below I have listed my top ten best survey sites that I have experience of, so that you can sign up to and start making online from surveys a side hustle to your full time job. SwagBucks is one of my favourite survey sites to make money from. They are probably the most well known online marketing and survey research companies out there as they have built up a really good brand on social networks due to very successful marketing campaigns. There’s a number of ways that you can earn money with Swagbucks other than completing surveys. You can complete tasks that they send you which then converts into either cash, prizes or vouchers. Tasks can include watching videos, doing some online shopping and much more. With Swagbucks, you know exactly where you stand with them. They are very transparent when it comes to how they distribute and use your data. It’s all part of their commitment to keeping everything on the table and being honest. Remember that there’s a lot of survey companies that are dishonest and will sell your information to the highest bidder, and will not be transparent with how they distribute or take advantage of your information. Swagbuck states on their website that they are “The Largest Free Online Rewards Program”, and you can see why. The site looks really professional, young and fresh, which appeals to their target audience. Swagbucks is very different to your typical paid survey site. It’s certainly legit, it’s not a scam and you can make money with them quite easily. Probably one of the more innovative rewards programs on the internet. Swagbucks have a points system called SB, and they give you SB points for successfully completing tasks that they set you. As I mentioned before, these tasks consist of completing surveys, watching videos and searching the web. SB’s are worth approximately 1 cent, so when you get a task that’s worth 100 SB, it is actually just $1.00. 100SB sounds a lot better, which is a smart way SwagBucks has structured its points system to keep people interested and motivated to want to continue with completing the tasks. Vast variety in tasks that you can do to earn cash / prizes. Large variety of prizes on offer. User friendly interface. Simple and stylised tasks and survey layouts. Cash is a bit slow to flow into your account, hence why I recommend you sign up to other survey sites. SB hunt is a bit addictive and can take you away from earning the cash you actually want. Ease of use: 10/10 – Really quick setup and their platform is extremely easy to understand and use. Excellent selection of tasks. Accessibility: 10/10 – They make their platform really accessible to everyone with the use of apps for both Android and IOS. Rewards for your time: 7 /10 – Their pricing system is quick and easy to understand. You’re never going to be able to replace your full time job with SwagBucks surveys, but it will help with the small monthly bills. MySurvey is probably one of the most trusted and reputable survey companies there is. They have been around for quite a while, and have a great reputation. To give you an idea of how long they have been doing surveys, they used to collect surveys from people using old fashioned mail services. Then they went on to manual telephone surveys, calling people up on the phone and getting opinions and views on a variety of subjects. Then they moved into the 21st century by going online in 2001, offering surveys through their website. I’ve been using MySurvey since 2006, and have always enjoyed using their platform and you don’t have to wait ages for payment either. Simply get yourself up to $10 and you can then withdraw the cash. Ok, it’s a bit steep in terms of cash out levels, but the frequency of surveys you get will make up for that. Expect to receive about 2 or 3 survey invites per week. The great thing about MySurvey is that the surveys tend to be nice and short, so no lengthy and boring surveys that take ages to fill out. Note that a few users have reported getting as many as 10 surveys per week. Sign up is nice and quick. It’ll take you 5 minutes and then you’re on your way. MySurvey is definitely one of the more light hearted and fun survey platforms on the market and should be included in your portfolio of survey websites. The surveys you will receive are by no means boring. They try to make them as interesting as possible, as they want to get the best out of the survey takers. Usually you’ll get 10 points for a 5 minute survey and you could earn up to 1000 points for a single survey, but these ones are few and far between. Most surveys on MySurvey belong to them, so no links to external websites. Ease of use: 9/10 – Really quick setup (5 mins) Like Swagbucks, the platform is nicely laid out and easy to understand and use. Accessibility: 5/10 – Their platform is only accessible via desktop browser. The site looks awful on tablet and mobile devices. Rewards for your time: 9 /10 – Very good return on your time. There have been some reports of regular users getting up to 10 surveys a week. MySurvey is a professional and established brand within the online survey niche. It’s one of the web’s oldest online paid survey sites and comes with a high level of respect within the industry. It has millions of users worldwide with the vast majority of them generally content with MySurvey’s performance. This is a no brainer in terms of whether you should sign up or not. It should be #1 or #2 on your list of sites to sign up to. You can sign up here to get started making some extra cash! Another popular website is Inbox Dollars, but unlike some of the other choices, they don’t pay nearly as much money per survey. In fact, the pay from the offers equates to pennies, and it will take a long time to accumulate enough money to cash out your earnings. However, the company might be a good fit for people who enjoy taking surveys, getting trial offers and playing games. You can also earn money by referring others to the site. To maximize your earnings from this company, you’ll need to register for as many surveys as possible, and like other survey sites, the amount of money that you make depends on your profile and demographic information. Toluna serves as a great way to test products and earn vouchers. The company behind the website is trustworthy and works with many top brands. 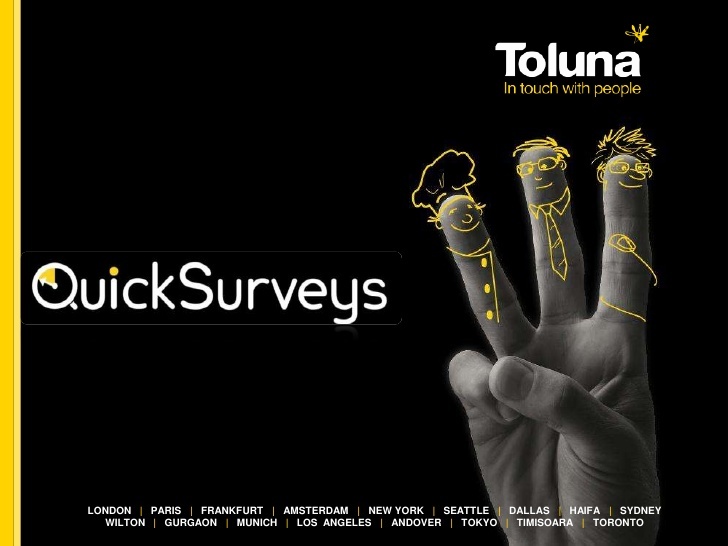 Most of the companies that Toluna will send you offers for want to know what you think of their products and services. 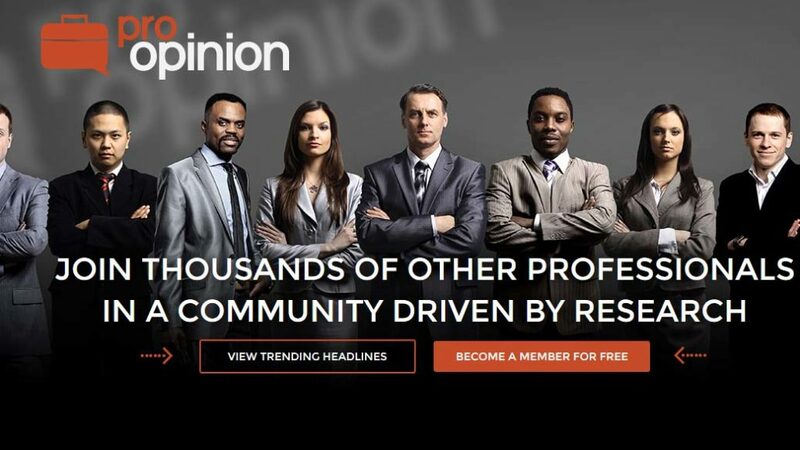 By providing your honest opinion, you’ll be compensated for your time. Some of the rewards that you can earn from this company are prize draws, Amazon vouchers and free products. A typical survey from Toluna can earn you between 3,000 and 6,000 points, and once you’ve accumulated 80,000 points, you can get a voucher that is worth about $20 USD. The minimum threshold that you must reach is 500 for prizes, and to get vouchers, the threshold is 80,000. Although you won’t always get free products, Toluna could be a great choice for people who like getting freebies. Most surveys from this company require about 15 minutes of your time, and it can take about four hours to earn enough points for a voucher. To gain access to frequent surveys, Vivatic is worth considering, and this website allows you to earn money from data entry, writing reviews and taking surveys. One of the major benefits of working with this website is the reward system, which pays you in cash. Depending on the requirements, you can earn a few dollars per survey, and to cash out, you must reach the minimum threshold of about $30 USD. Overall, Vivatic is reliable, trustworthy and easy to work with, and a standard survey can take about 15 minutes to finish. Since it offers a long list of ways to make money, Vivatic is one of the top websites for people who want to earn money from surveys. This company allows you to take surveys that are based on your expertise, and the points you earn can be redeemed for iTunes or Amazon gift cards. Although they don’t offer cash rewards, you can purchase almost anything on Amazon. A lot of people like this website because it’s free to join, and it doesn’t cost money to complete surveys. The site also has a low minimum payout threshold, which allows you to cash out with a smaller amount of points. You can choose the surveys you’d like to participate in, and if you don’t like the company, you can easily cancel your membership. 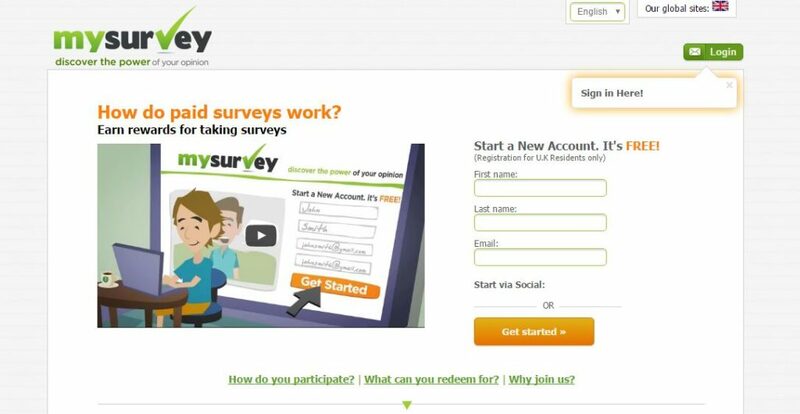 This company allows members to complete online surveys, and most surveys don’t take longer than 10 minutes to complete. You might also get the chance to test various types of products. A typical survey from American Consumer Opinion is good for about 100 points, and you can even earn up to 50 points for survey screeners. If you’re looking for a way to get paid for online surveys and product testing, then this company is worth considering. Once you have accumulated enough rewards points, you can cash out with Tango gift cards, PayPal, check or sweepstakes entries. Before you can get money out, you’ll need to accumulate at least 1,000 points, which is equal to about $10 USD. 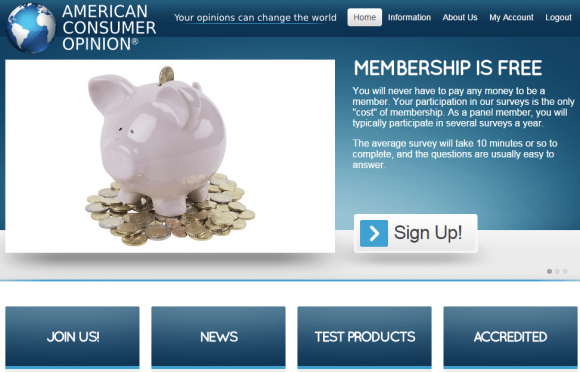 With over six million members, this website is one of the top websites for online surveys. There are several tips that you can use to maximize your profits from online surveys, and they’re very easy to implement and follow. One of the best tips is to make sure that you sign up for many different companies because you need to find the companies that pay the best rates. You might sign up with 20 different websites, but the majority of the money you’ll make will come from only a handful of sites. Another useful tip is to make sure that you cash out when you reach the required threshold. Some websites have restrictions, and the earnings that you accumulate might only be valid for a short period of time, which is why it’s important to always cash out as soon as possible. One of the top ways to maximize your earnings from online surveys is to avoid paying fees. Although some sites might be worth the money, there are many companies that will charge you money to join, and they don’t send enough offers to justify the membership fee. If you want to maximize the amount of money earned from surveys, you should always keep your account information up to date. With up-to-date profile information, you’ll receive the latest offers and have more opportunities to make more money. How do you make money from surveys? This is a question that a lot of people ask when they hear about the concept of making money online from free online survey sites. The thing that people don’t realise is that market research is a massive business. Companies all over the world will pump billions and billions of dollars into finding out what consumers think of certain products/ideas before they launch it. For them its paramount that they find out intricate and minute details of a consumer’s relationship with their product. This could be a new service or advert to be shown on TV, a new product ,existing product and even new packaging. Big companies like IBM, Panasonic, and Microsoft go to incredible lengths and costs to find out what you think of their products. One of the best ways for companies to find out if people like their products is to offer compensation for your opinion, and depending on the company, the money offered can be very reasonable. The next bit is where you come in to the frame. Because of time constraints and the effort involved to find the right target audience, large, medium and small companies will go to these new breed of online survey takers, and give them a certain amount of budget to enable the site to get the data they need from the right people. They will then allocate a certain amount of money to gain that data via giving their members surveys to complete in exchange for a small payment. Filling out surveys won’t make you a millionaire, but with enough effort, it can provide you with some additional income. The good news is that you don’t have to leave your home, and you can make money while wearing your favorite pajamas. To make money from surveys, you must use some of your time to fill out different types of surveys from different companies. You’ll be participating in market research surveys and panels, and there are hundreds of companies that are willing to pay for your opinion. How Do Online Surveys Work? If you have a computer and don’t mind providing your opinion, you can make money with surveys. Since hundreds of different companies want to pay you for your opinion, there are plenty of opportunities to choose from. To start taking surveys, you need to find the companies that offer them. Most of the websites that allow you to earn money from surveys are free to join, and once you’ve made an account, you’ll need to provide your demographic and personal information. Fortunately, as long as you sign up with credible companies, you don’t have to worry about them selling your personal information. Your personal demographic information is used by companies to match you to the various offers that are available, which is why you’re required to provide it. When the companies are able to match you with an offer, you’ll receive an email, which will invite you to take the survey. Once you’ve been qualified, you’ll be able to take the survey and earn compensation. The type of compensation that you’ll receive depends on the offer. Some offers will pay you cash, and others will give you free products or services. For example, some companies will send you free products, and in exchange, you’ll get to try the products out and provide your honest feedback. The compensation for some surveys is entry into a particular sweepstakes, which could lead to a big payoff. If you’re looking for a way to get free products, surveys are worth considering. In exchange for your opinion, some companies will send you products for your pets, or you might receive food or beauty products. When filling out online surveys, your main goal is to get compensated for your time, and with the right tips, you can maximize the amount of compensation received for every minute you spend filling out online surveys. The first major tip is to focus on survey panels that fit your preferences. Since there are hundreds of different online panels to choose from, it’s easy to get overwhelmed and choose panels that aren’t a good fit for your preferences. You should sign up with a handful of panels and monitor the offers they send you. Many companies will send offers to try pet products, and if you don’t own any pets, then it doesn’t make much sense to spend your time with that company. It’s also important to monitor the amount of compensation that you receive from each company because some pay significantly more than others. Each survey site may only send you a couple of surveys to complete in a month. The reason for this is that you will not fit the target audience for every survey they have. So what you need to do is sign up to about 10 free online survey sites in order to make a reasonable amount each month. The more you sign up to, the more opportunities you will get to make some extra cash. With most of these sites, its all about building up your reputation as a serious survey taker. If you do the surveys well enough, you may get more surveys to take. When you take a survey, they will ask you a few personal questions in order to see if you fit the bill. Don’t lie. Be genuine with your answers as this will benefit you and the company giving you the survey. Take your time and don’t rush these surveys. Answer each question with accuracy as the survey company wants you to give your honest opinions so they can get the best out of your services. It’s probably best to create a new email account just so you can keep your personal or work emails separate from your survey emails. You can create free email accounts using Gmail or Outlook.com with ease. If you want to make sure you’re getting selected for great offers, you should keep your demographic profile updated. When working with several different websites, it might seem like a chore to keep your personal information up to date, but over time, it will pay off because you might be selected for offers that you wouldn’t have received without your updated information. For the best results, you should strive to update your profile at least twice per year, but if you regularly experience major lifestyle changes, then consider updating your information three to four times per year. It’s also quite common for companies to send you surveys immediately after you update your profile. Another useful tip is to make sure you try to get into as many demographics as possible. When you’re answering questions for your profile, you should always provide positive responses. You don’t want your answers to make it seem like you don’t like certain products, and you want to show that you have a lot of experience in many different areas of life. By fitting into as many demographics as possible, you’ll receive more offers, which will allow you to make more money. There are several changes that can have a major effect on your eligibility for certain offers. A great example is having a child or coming home with a pet. Some offers are sent to people who’ve recently relocated, and others are sent to people who’ve recently changed their Internet service. Maybe you’ve just started going back to school, and to make sure you’re getting as many offers as possible, be sure to keep your profile up to date. One of the best tips for doing online surveys is to make sure you’re never working for free. Your time is extremely valuable, and it’s something that you can never get back, which is why you must always make sure you’re getting compensated for it. If you’re really desperate for money, then it’s not a bad idea to take some surveys that don’t pay much money, but whenever possible, you should make sure to spend most of your time taking offers that pay well. Some surveys might pay $15 and take 15 minutes to complete, but other offers might only pay $5 and take an hour to complete. You must stay vigilant and make sure you’re spending your time where you’re going to get the greatest return. You might not have a problem with this, but a lot of people would prefer that websites don’t sell their personal info. It’s also a good idea to create a separate email for your survey activities because it will help you stay organized. For convenience, you should consider using a software program that will store passwords for the various websites that you’re working with. If you have accounts with 15 different websites, then it’s almost impossible to remember the login information for every account you own. Unfortunately, completing online surveys won’t make you rich, but it can serve as a decent source of supplemental income. The amount of money that you can make from these websites depends on how much time you have to put into it, and your income potential is also limited by the number of surveys that you have available to you. On some days, you might have an abundance of surveys to complete, but you might also have times when there aren’t many offers sent to your inbox. However, by choosing to work with reputable sites and following these useful tips, you can maximize the amount of money earned from completing online surveys and avoid wasting time watching cat videos on YouTube. 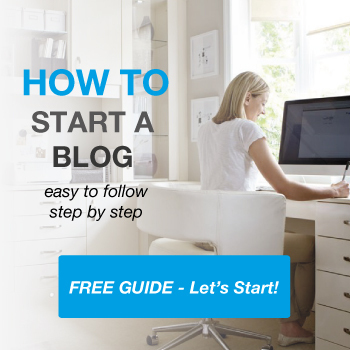 Great guide for people who are just starting out making money online, I also did the same and I got good results. The list of the websites you provided is essential. Thank you Jamie. Totally agree with you on signing up to multiple sites. This ensures you’ll always have surveys to complete and money coming in. I have Swagbucks on my top list as well. Haven’t tried Inbox Dollars so will definitely give that a go. Thanks!